Got spring cleaning on the brain? Forget it. Say good-bye to all those dreams of an organized, minimalist life, and get ready to start coveting, because we’re about to drop a major fashion bomb on your plans. 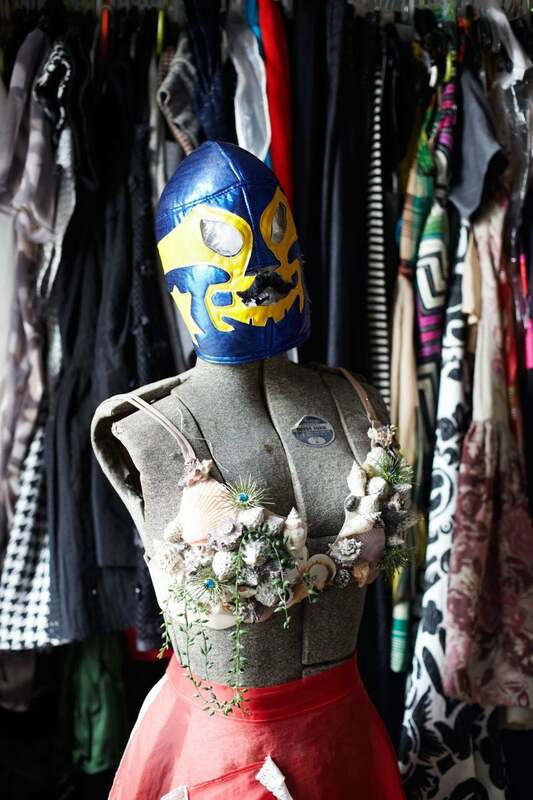 We tracked down three of the country’s craziest clothing collections for a peek inside the life of a fashion hoarder and, instead, found something truly inspiring. 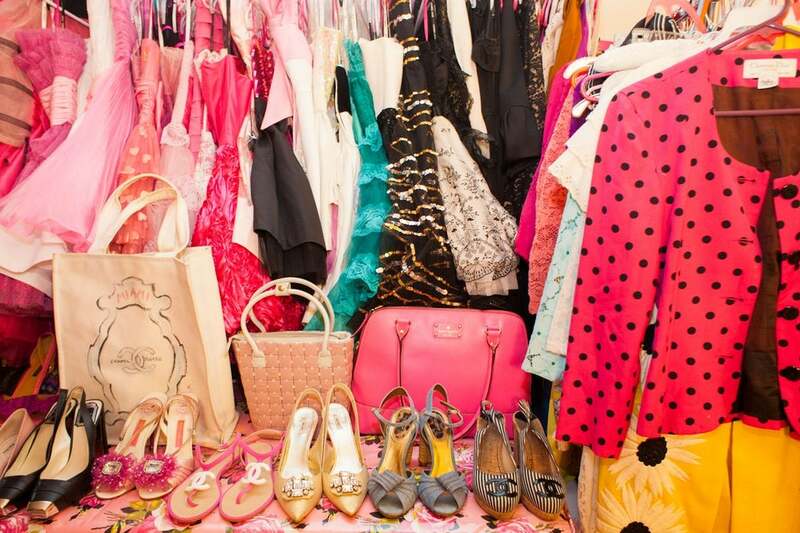 These enviable closets are full of vintage gems, luxe rites of passage, and above all, nostalgic pieces from the lives of three women who can collect like nobody’s business. 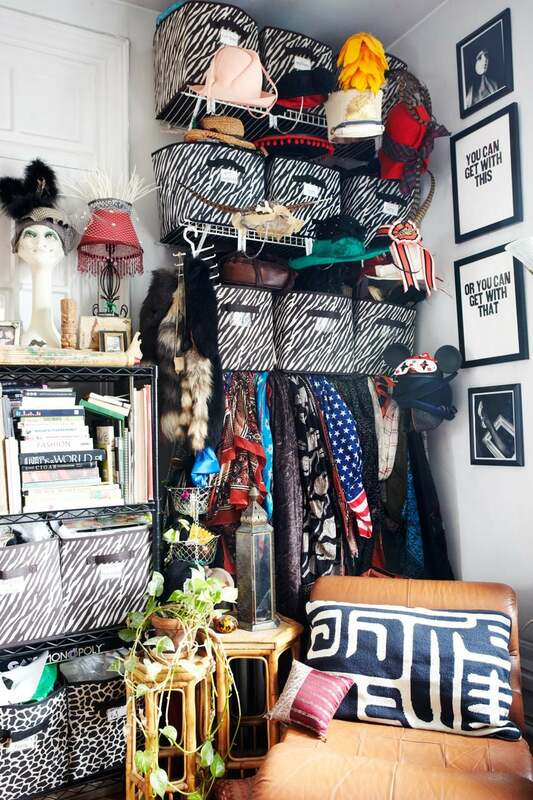 Meet our favorite fashion hoarders and the wardrobes that can’t be tamed. We’ll start off with Tessa Morehouse, a designer for Plenty by Tracy Reese and a vintage collector extraordinaire. 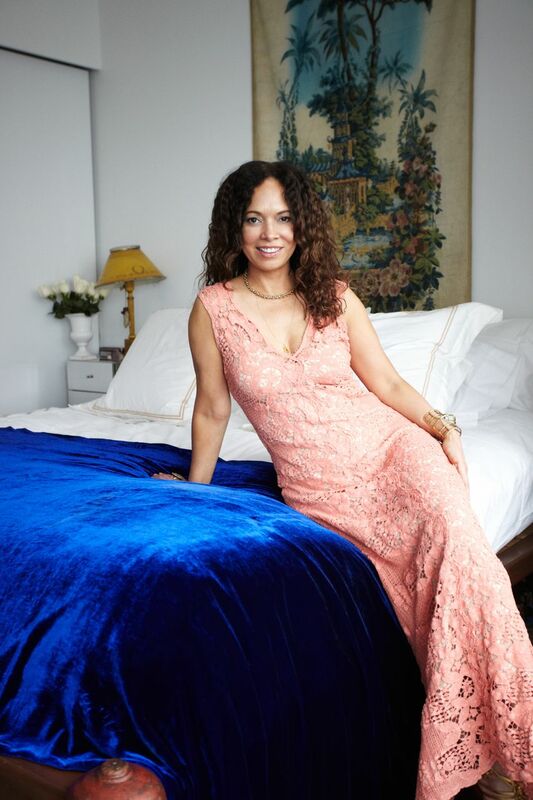 From the moment you step into her apartment in Washington Heights, you’re bombarded with kitsch of the best kind — trinkets from all over the world, decorative plates, even taxidermy (a personal hobby of hers). Plus, her taste hasn’t changed much. “I own a lot of jewelry and shoes. I’ve worn the same size shoe since I was 10, so I racked up a lot of shoes. Thankfully, I’ve moved past the jelly sandals, but wish I still had those Dr. Martens!” Don’t we all, though? In addition to her work for Tracy Reese, Morehouse also designs vintage-inspired cocktail hats — you can see a few of these fascinating toppers, embellished with everything under the sun, up top next to her boxes of fabric and magazine cutouts. This is Miss Chase. She was watching over our photo shoot, as Morehouse shared amazing stories of her many trinkets, like the anonymous dental mold gifted by a hermit she was determined to befriend — and who remains a great pal to this day. Her latest score? Vintage Miu Miu heels for $45! Some of that Chanel — including Rihanna’s favorite vintage pearl sunglasses. “Most of my money goes back into pieces for styling or for photo shoots or for trunk shows, which is my business,” Rose explains. 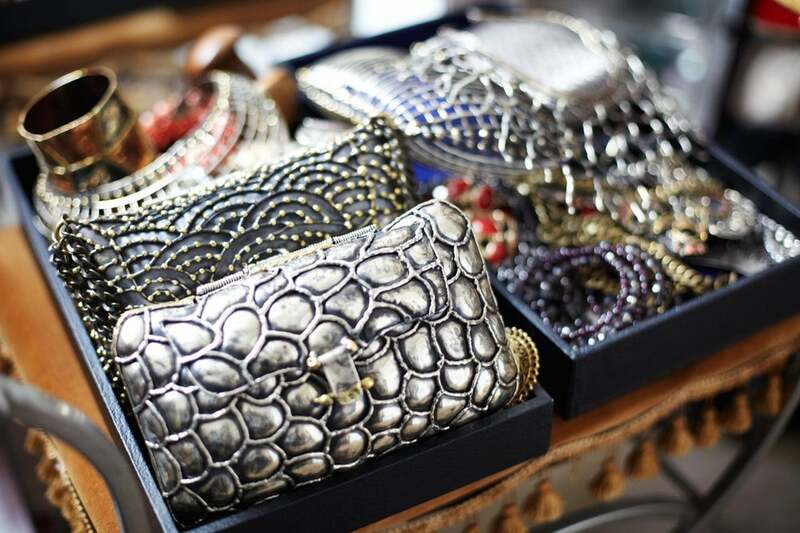 I do trunk shows every three months, where I have sample sales on designer pieces that I’ve worked with but no longer need.” And, as for a favorite piece — though it’s hard to pick — she cites a pair of hot-pink Louboutins, specially created for a shoe store in Napa. If you’re a bit of a fashion hoarder yourself, you might recognize Miguelina Gambaccini’s name — her super-feminine beachwear brandMiguelina is a favorite among beautiful people everywhere. And, her personal collection is equally impressive. We’re not just talking clothes, either. 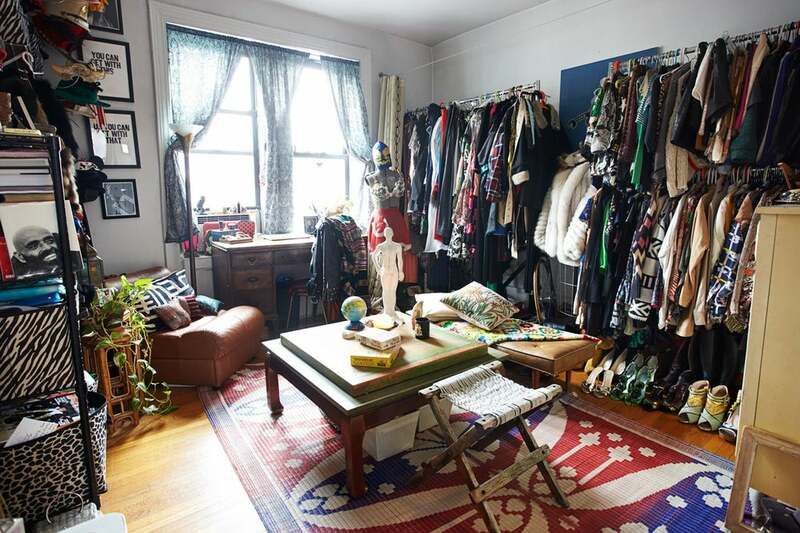 From antique Buddhas to artwork and to-die-for furniture, this is a dream apartment for any space-strapped New Yorker. 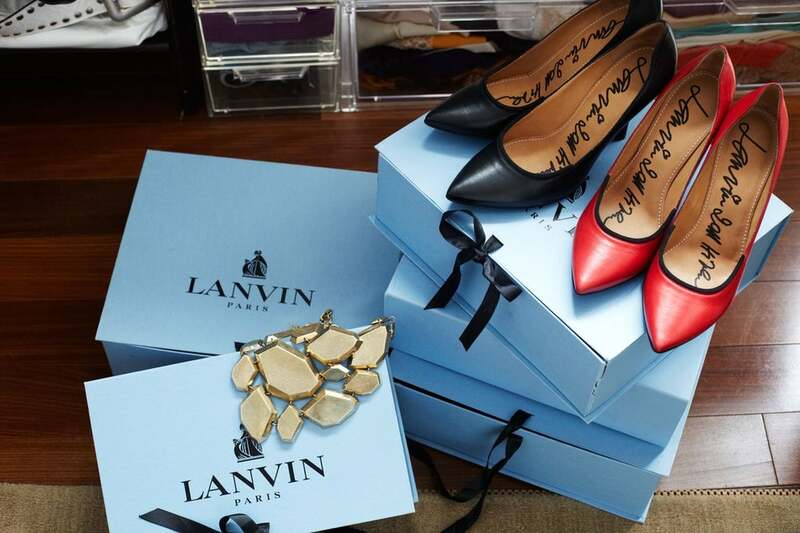 Among the mass of covetable goods is an extensive collection of Lanvin shoes, mountains of lace both vintage and designed for her upcoming bridal collection, and Anndra Neen jewelry and accessories, pictured here. “I consider them art,” Gambaccini says, and we have to agree. 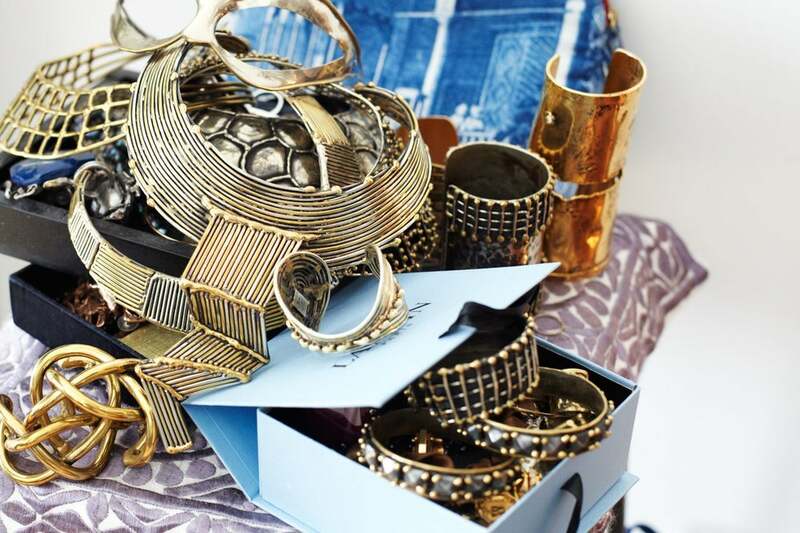 More of her untamed piles of jewelry — hey, when it’s that pretty, why hide it? Her weakness is Brian Atwood shoes, and she’s been trying on high heels since she first borrowed a pair from her mom at the age of 6. But when shopping (often abroad), her motto is to just buy what’s timeless, what she’s totally in love with, instead of following trends.